Welcome to Bovington Primary School. I would like to warmly welcome you to our school. We are a thriving and ambitious primary school in rural Dorset. We care passionately about all of our children’s education and go the extra mile to ensure that every child makes good progress whilst they are at our school. Our staff are highly committed to teaching stimulating and engaging lessons, concentrating on making sure every child makes good progress in their basic skills. At Bovington we have a deep and professional understanding of how to secure good learning that builds upon and is appropriate to each child’s age and stage and we will always do our utmost best to ensure that every child thrives and succeeds in our care. Our team are committed to the development of respectful relationships, good behaviour and positive attitude to learning in every single unique child. Given the distinctive cohorts of children that attend Bovington, (including @60% service pupils) we have designed our provision and curriculum to match the needs and ambitions we have for all of our pupils. To this end, we have a very strong pastoral approach that underpins the social, emotional and mental health of our pupils alongside rigorous and effective academic approaches to the teaching of reading, writing and math. Alongside our core curriculum, we are committed to excellence in sport and in addition ensure that every child gets outside to learn and experience the wider curriculum through our innovative Forest School provision. We strive to develop a foundation for our pupils to become emotionally resilient, self- reliant and able to strive and persevere through challenge to reach ambitious goals. Everyone at this school works hard to instill self-discipline and a strong sense of responsibility toward self and others. We know that some of our children will or have faced tough times in their short lives, so we work hard to offer these children a haven so that can foster resilience and grit and go onto to thrive and succeed. We are proactive and take the lead in multi-agency work to ensure that every child is kept emotionally and physically safe and that any needs, issues or concerns are fully addressed and resolved. We have developed and will continue to use strong partnerships with parents/ carers and external agencies to support children. In our school we provide opportunities for all children to blossom and grow as young people with the skills, intellectual curiosity, self-belief and ambition to challenge and develop themselves further. To do this we build a growth mindset in our learners so that when they face challenge, they expect to learn and to grow with confidence and to persevere through failure onto mastery and success. This resilient and personal attitude is important as children apply the mastery learning that they come to possess to strive to reach for their next challenge. 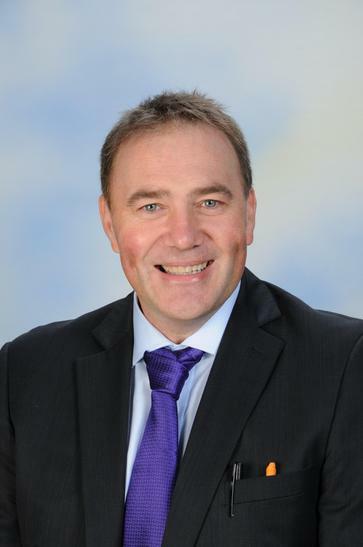 I am proud to lead such a vibrant, diverse and unique school and team of professional educators that is at the center of the community in which pupils, staff, governors, parents and the wider community all work collaboratively towards striving to secure the best outcomes for each individual child. I am looking forward to meeting and working with you.